A British survey has revealed that only about one-third of the public know what a mule is, despite the hard-working animals being a major part of the country’s history. In marking World Animal Day today, international charity Brooke released the results of a survey carried out by nfpSynergy, showing that only 37% of the public knew that a mule is the offspring of a male donkey and a female horse. Interestingly, only 41% of the equestrians who responded to the survey knew this. Mules, bred for their strength and resilience, have played a massive part in Britain’s history and especially in WW1, where they made up over 200,000 of the one million horses, donkeys and mules sent out to serve in battle. 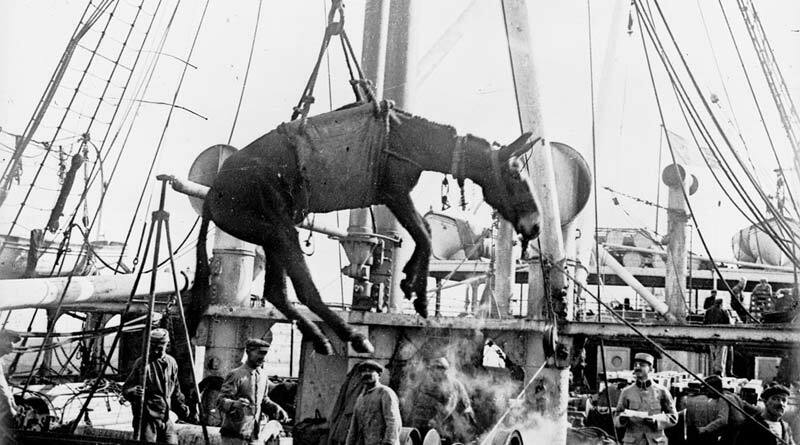 “As we approach the centenary of the end of the First World War, it’s important to honour the vital contribution of the often overlooked mule,” said Brooke CEO Petra Ingram. There are just under 10 million mules in the world, and the majority of these are working. The reverse combination of parents, a male horse and a female donkey, is called a Hinny. Due to an odd number of chromosomes, mules are usually infertile. Mules were used in WW1 to carry artillery, food supplies and even wounded soldiers on the battlefield. Due to increased need, mules were bought from Argentina, Uruguay and Southern States of the USA. Half of Britain’s WW1 mules were imported. They arrived via gruelling sea voyages lasting weeks at a time, arriving in Bristol and moving on to Minehead for recuperation and training. Like horses, mules can’t vomit, which made these journeys even harder, with many mules lost on the journeys. In some developing countries where Brooke works, owning a mule can be a family’s main source of income, doing manual work like carrying bricks, building materials, food and water. Mules can live up to 50 years, with an average lifespan of 30-40 years. Sadly, in places where Brooke works, owners often have little access to suitable nutrition or veterinary services for their animals, meaning their life span is severely affected. Famous mules include the 1950s children’s TV character ‘Muffin the Mule’, ‘Francis the Talking Mule‘ from the movies, Slate the winning dressage mule in the US, and ‘Wallace the Great’, who was the first mule to win a British Dressage competition in the UK in June 2018. Brooke’s Every Horse Remembered campaign, marking 100 years since the end of WW1, highlights the heroic struggle of working horses, donkeys and mules of the past and present, and will build better lives for future generations. This November Brooke is encouraging horse, donkey and mule lovers across the UK to honour their contributions throughout the month of November. Find out how you can join in.